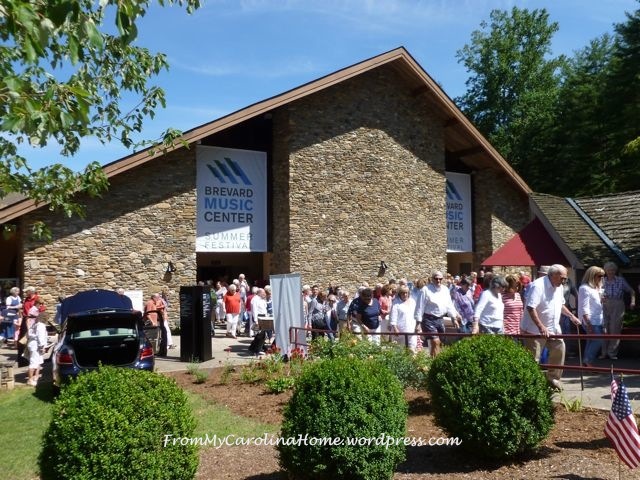 One of the treasures we have in the mountains is the Brevard Music Center. It is about a 45 minute drive from our place. 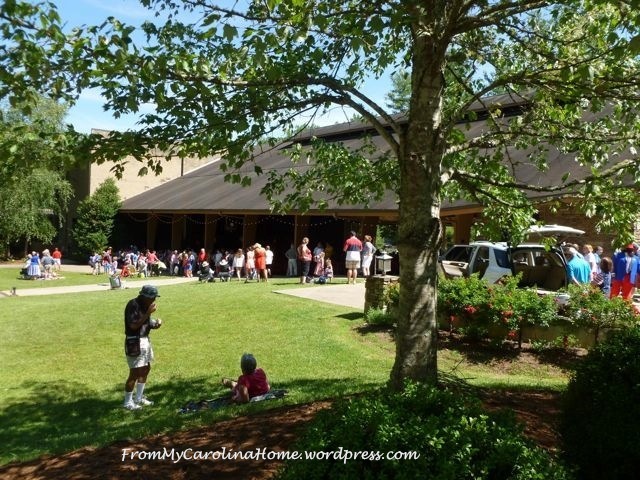 Every summer they do a music camp where students come from all over to study and perform. 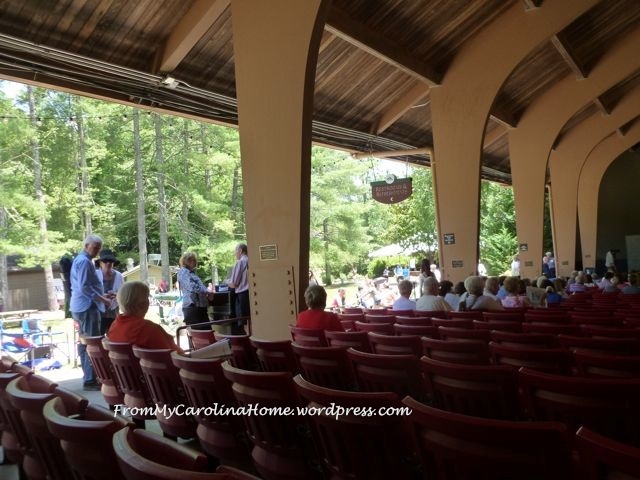 The Patriotic Pops concert for Independence Day was fun. 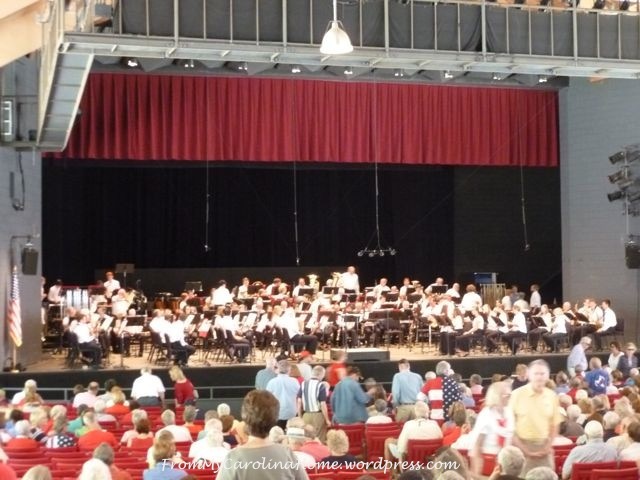 Student musicians performed the first half of the program which included an Armed Forces Salute, Light Cavalry Overture, America the Beautiful, Trumpeter’s Lullaby and American Overture along with a Young Person’s Guide to John Williams. This medley included themes from E.T. The Extraterrestrial, Indiana Jones and Harry Potter. The Center is a large pavilion open on both sides. We went with good friends Alvan and June, and sat about halfway back. 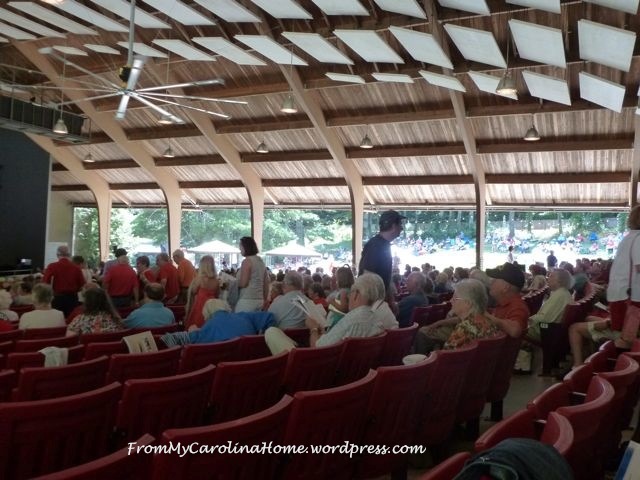 People who wanted to bring a blanket and picnic, or some lawn chairs could enjoy the music on the lawn in the sun or shade. 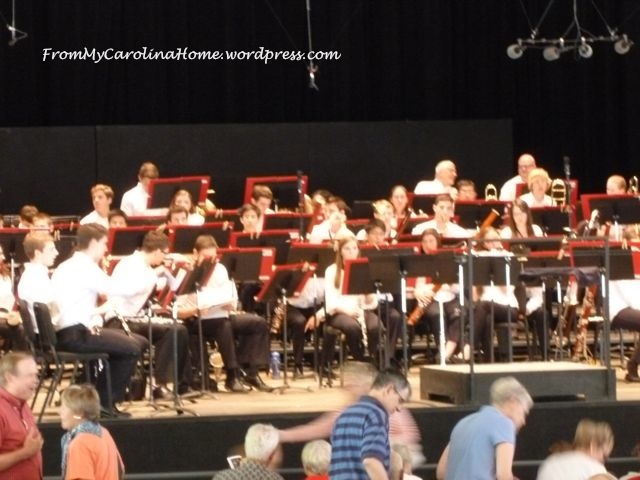 The second half of the program had the Brevard Community Band, and the Brevard Symphonic Winds joining the students to make a very large group of musicians. 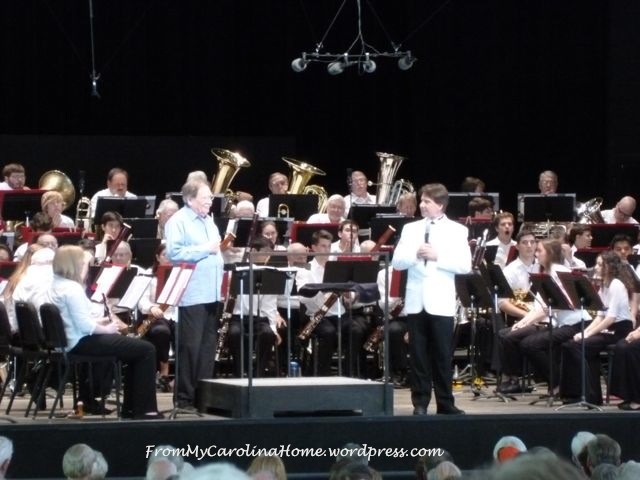 The conductor, Kraig Alan Williams for the Brevard Symphonic Winds (in the white coat on the right) introduced our friend Jamie Hafner (blue shirt on the left), conductor for the Brevard Community Band (and fellow British Car Club member). Jamie was conducting the 1812 Overture by Tchaikovsky. 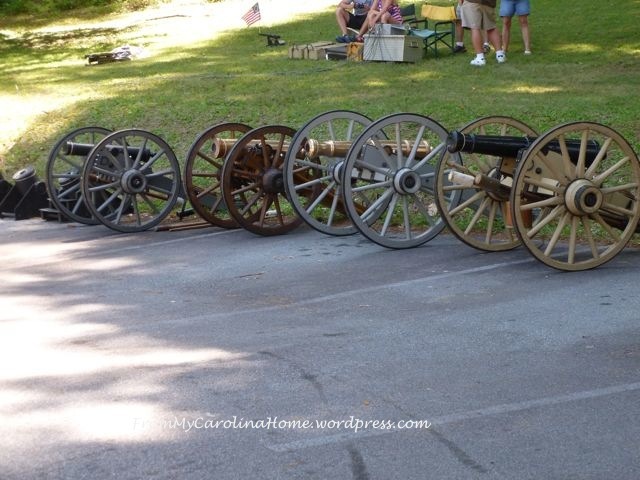 Yes, there were real canons for the concert! Jamie slyly turned around to the audience and gave us a raised eyebrow to let us know when the canons were coming up. They went off on schedule, and were very loud!! The concert ended with Sousa’s Stars and Stripes Forever. It was a wonderful way to spend Independence Day! Later we will go down to a neighbors house where we can see a fireworks show. After that, will return to our front porch where we can see fireworks shows 20 miles away! How did you spend your July 4?